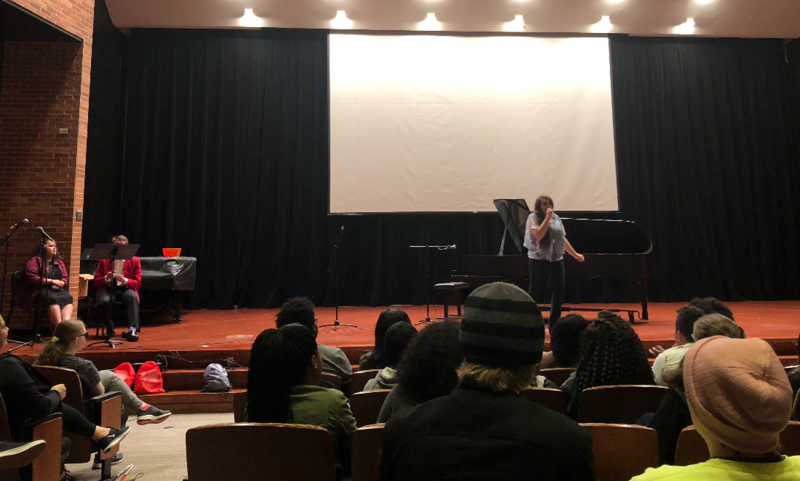 The University of Arkansas Little Rock’s Chancellor’s Leadership Corp [CLC] hosted a talent show Thursday night to support a good cause. By the end of the year, CLC hopes to collect thirteen thousand items to distribute to those in need in the community. The event was hosted by Senior CLC member Lucee Lugo and Freshman Turner Hudson. Between each act, they threw T-shirts to the crowd and did raffle giveaways. While anyone could participate, a great deal of the acts were from CLC students. Three judges helped to describe each performance and select the winner. Freshman Mayra Orozco won first place and $100 for her dance to Shawn Mendes’s song “Lost in Japan.” A fan favorite award was given out as well and Jonathan Rollins won it with singing another Shawn Mendes song of “Mercy” winning a $25 gift card. The Trojan food pantry is always accepting donations and are especially in need of Thanksgiving foods such as corn, green beans and stuffing for the holidays.